Property 3: DAILY PROMOTION 250 !! BEAUTIFUL FLAT VARANDA, KITCHEN, STOVE, APART HOTEL 10! Property 9: ENJOY EASTER'S EVE AT THE HEART OF LEBLON! Property 14: Artist two bedroom apartment very near the metro, in the heart of Copacabana!! 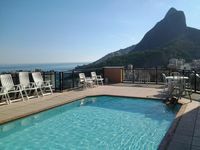 Property 15: Spacious 2BR in Rio's most upscale neighborhood! Best value in Luxurious Leblon! 2 bedrooms apartment with balcony and space garage in Leblon! Property 25: 2 bedrooms apartment with balcony and space garage in Leblon! Property 30: LEBLON-Charming 2 bedroom apartment, balconies, pool, WIFI. Beautiful Loft in the Cinelandia Metro, Wifi, Cable TV and beautiful view. Property 45: Beautiful Loft in the Cinelandia Metro, Wifi, Cable TV and beautiful view. Beautiful Studio at Leblon !!! Close to everything !! Property 48: Beautiful Studio at Leblon !!! Close to everything !! WE'RE WAITING YOUR VISIT ! COME ON! Property 49: WE'RE WAITING YOUR VISIT ! COME ON! 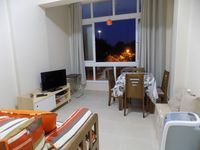 Apartamento excelente, negocia&ccedil;&atilde;o tranquila e cercada de confian&ccedil;a. A Ana &eacute; extremamente atenciosa. Apartamento limpo e confort&aacute;vel, igualzinho nas fotos. Frente para o Parque do Aterro, pr&oacute;ximo de mercados, restaurantes, padaria e metr&ocirc;. Ponto de &ocirc;nibus quase em frente do Apartamento. Foram 10 dias perfeitos no Carnaval. Se Deus quiser estarei de volta no Carnaval de 2020 (rsrsrsrs). S&oacute; faltou uma cama maior (algu&eacute;m com 1,93 em cama de solteiro n&atilde;o &eacute; f&aacute;cil, rsrsrsrs). Super recomendo o apartamento. Obrigado Ana!!! !